Recently, I did a couple of trips to Zürich for a job application (it didn’t work out). This also meant I had a couple of hours for some photographing each time. Yay! 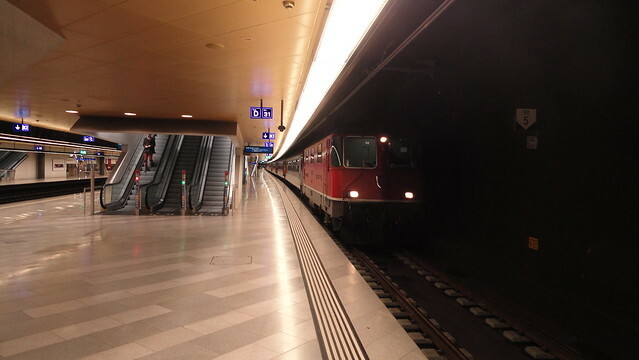 The first thing of note is the Sihltal-Zürich-Uetlibergbahn (SZU). 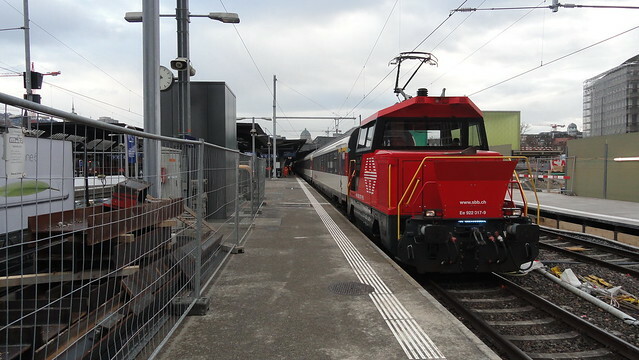 They operate two lines, the Sihltalbahn (with 15 kV 16.7 Hz AC) and the Uetlibergbahn (with 1250 V DC). Funnily enough, both lines share the tracks on the last kilometer or so before reaching the central station, so somehow they need two separate power lines on those tracks. How did they do that? Easy! 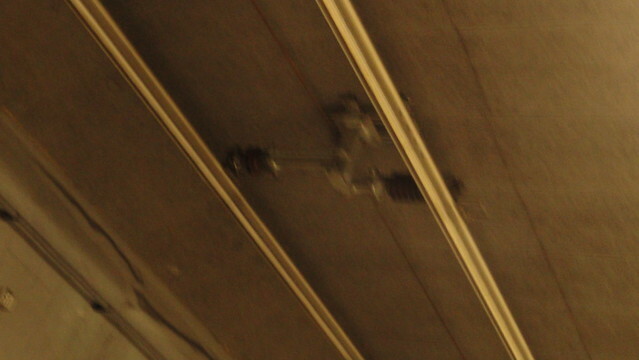 Centered above the rail is a catenary for 15kV AC – that’s the right one in this image. The other catenary, which is off to the side, is filled with delicious 1250V DC for the Uetlibergbahn trains. 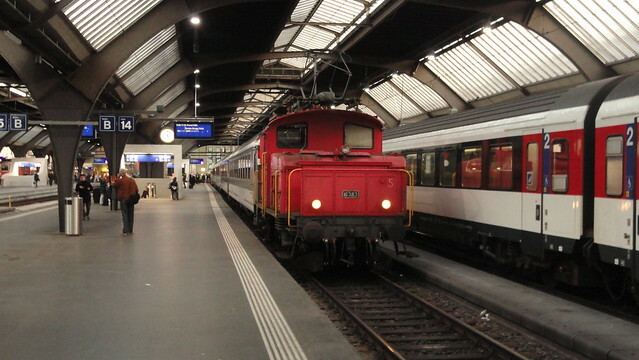 When looking towards the Zürich main station, it’s off to the left. 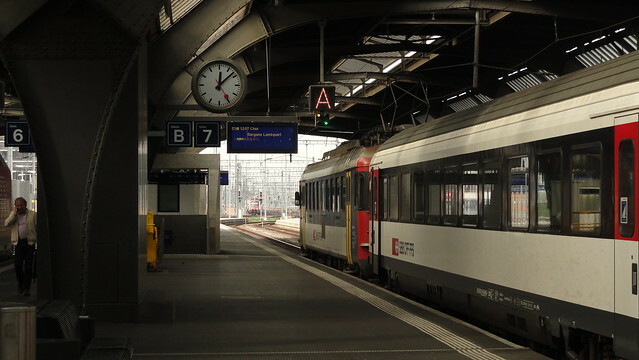 Along with the catenary, the pantograph is also set to the left side looking towards Zürich (trains can’t turn in the SZU network). The new dual-current trains have both centered pantographs (for AC) and offset pantographs (for DC). Note the different sizes of the isolators in the photograph. Unfortunately, I don’t have any pictures of the trains, but you can find plenty of those on the interwobz. Then, there’s the Forchbahn. 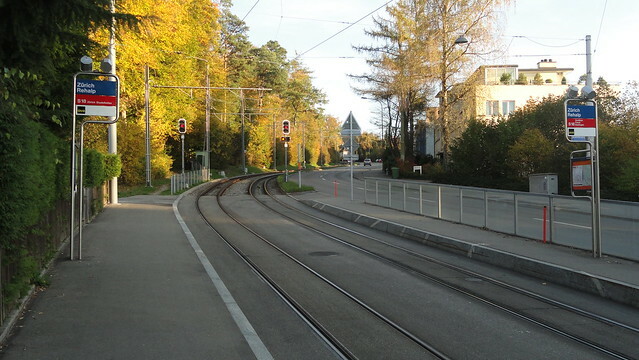 They operate a suburban train line on narrow gauge that suddenly joins the tram tracks of the local transport authority (VBZ) between Realp and the Stadelhofen station. And then, of course, there is a lot of regular railway stuff. 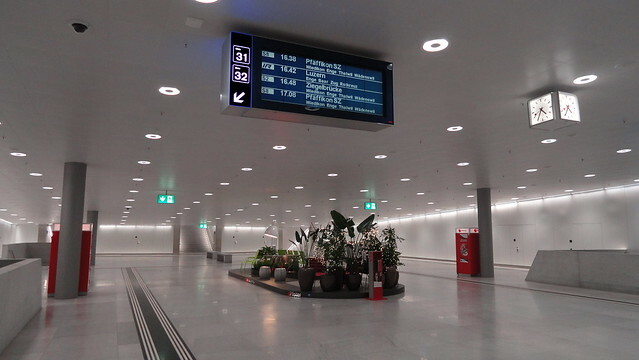 Like the new S-Bahn station at the central station, opened only last year along with the S-Bahn tunnel from there to Zürich-Oerlikon. From time to time, it’s also used by long-distance trains. 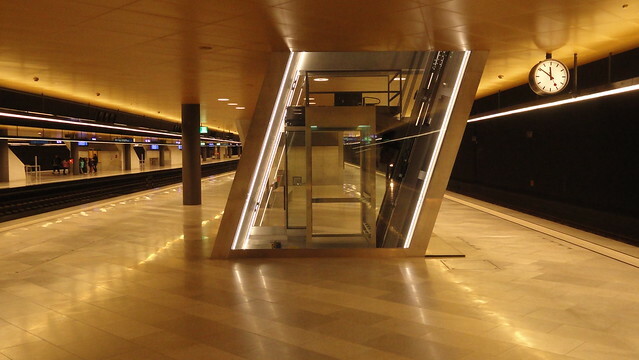 One of the more iconic features of this station are the elevators: They are all slightly slanted, because the platforms in the tunnel are a bit offset against the platforms above. Note that the yellow tint is due to my incompetence when operating a camera. There’s even a nice zen garden! And, of course, there’s a bunch of cool trains and vehices, like this Ee 3/3, built in 1943 and still working. Or the RBe 540, which still hasn’t been entirely taken out of service and is drafted for shunting services or for replacing broken engines from time to time. Or, of course, the Ee 922, which runs 80kph, has 600kW of continuous power and 120kN of starting tractive effort and is also available with a handy little diesel engine for those non-electrified sidings. It’s way more awesome than a shunting engine should be allowed to be. There are a lot more and better photos on my Flickr account – these here are just those I wanted to say something about. So, if you found this interesting and want to see more, feel free to head over there and follow me.